This is an update to our earlier Elliott Wave analysis of the Greek stock market which has followed our forecast to a tea and declined steadely during the year. 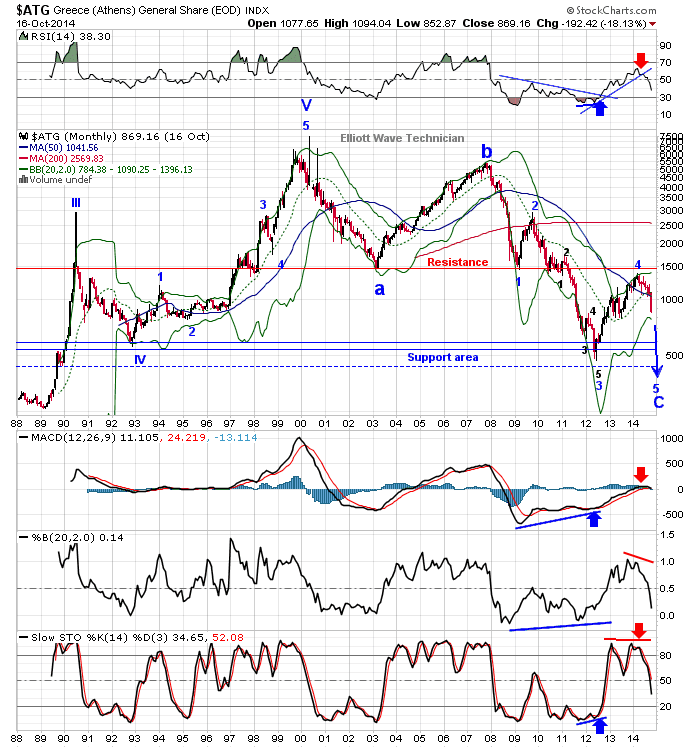 We think that current decline of the Greek stock market in wave "5" could last until June 2016. This has implications for the Greek banking system. Will a another collapse of the Greek stock market to new record lows put the banks in a similar situation as banks in Cyprus or even worse ?